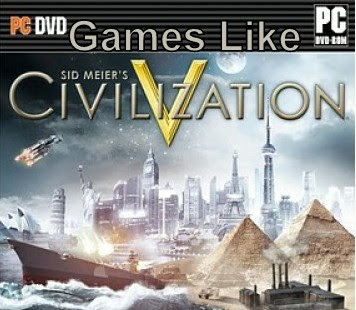 Sid Meier's Civilization is a turn-based strategy game created by Sid Meier and Bruce Shelley. The game's objective is to "Build an empire to stand the test of time", it begins in 4000 BC and the players attempt to expand and develop their empires through the ages from the ancient era until modern and near-future times. It is also known simply as Civilization. If you are a fan of real time turn based strategy games like Civilization Series and looking for more games with similar gameplay then find the recommendations for it below and don't forget to mention if we miss any games as we keep on updating this list. Galactic Civilizations II: Dread Lords is a turn-based strategy PC game by Stardock. The objective of this game is to use technology, diplomacy, colonization and war as your tools to build a far-reaching interstellar empire.The game was a modest commercial success, and it was received favorably by critics, winning multiple Editor's Choice awards from GameSpot, GameSpy, and IGN, within the first two weeks of release. Total War is a computer strategy game series developed by The Creative Assembly. Its games combine turn-based strategy and resource management, with real-time tactical control of battles. Sid Meier's Alpha Centauri (SMAC) is the critically acclaimed science fiction 4X turn-based strategy video game sequel to the Civilization series. The game is played from a third-person, isometric perspective where the player is tasked with the colonization of space. Rise of Nations is a real-time strategy computer game, developed by Big Huge Games and published by Microsoft. Rise of Nations features 18 civilizations, playable through 8 ages of world history. it can be described as a combination of Civilization and Age of Empires. Age of Empires is a series of real-time strategy computer game developed by Ensemble Studios and published by Microsoft Studios. The games in the series focus on historical events and gives players a choice of 12 civilizations to develop from the Stone Age to the Iron Age. Evony: Age II(MMORTS Game),.....if you can think of more, then don't forget to mention it in comments.